About the Wychavon Parish Games. The Wychavon Parish Games started in 1978, and the aim of the Games remains the same today: To offer all residents of the Wychavon District the opportunity to participate in active sports and pub games. The competitive spirit is strongly combined with community spirit; be that through developing relationships within the teams created in a Parish or the local derby atmosphere between teams from near or neighbouring Parishes. This is why there is a strict rule about participants having to reside within the Parish that they represent and it is the Parish Council that pays the fees to enter the various games. The Games combine a series of inter-Parish/Ward competitions where individual Parishes compete against one another to win individual events and to produce overall winners. The Games offer participants the opportunity to visit other Parishes, experience the hospitality and therein develop relationships and build and broaden communities. For example; the One Day Events are held within a variety of appropriate locations around the District with the Knock Out Events being held on a Home and Away basis, predominantly in Pubs and Clubs, thus enabling a broad scope of venues to be enjoyed. One Day Events: Angling (22.09.18); Bell Boating (23.06.18); Bowls (16.09.18); Cross Country (18/07/18); Men’s 5-a-Side Football (01/07/18); Petanque (22/07/18); Rounders (08/07/18); Junior and Senior Table Tennis (07.10.18). Knock-Out Events: Crib; Ladies’ Darts; Men’s Darts; Dominoes; Pool; Skittles. These start in August and continue through to their Finals which are held in the autumn. 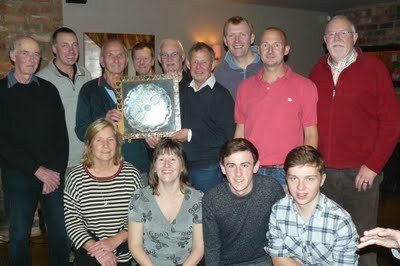 Engraved Trophies, many of which have been in existence since the start of the Games, are awarded to the Winners and Runners Up in each Event with the much-coveted Silver Salver being awarded to the overall Winning Parish. These Trophies, as well as a number of others, are given out at the annual Presentation Night hosted by the previous year’s overall Winning Parish; this year, this will be held at Bretforton Sports Club in November.